First Look: GNOME 2.26 - Includes hot new features and updated applications. 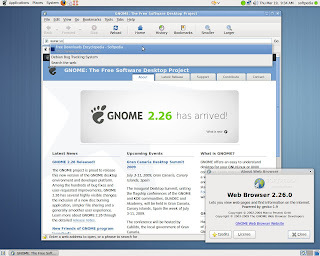 Ladies and gentlemen, dear geeks... the time has come to announce the release of GNOME 2.26, a light desktop environment used in many popular Linux distributions, such as Ubuntu, Mandriva, PCLinuxOS, etc. The new release comes after six months of hard work and it brings a lot of hot new features, improved applications, new translations and updated documentation. 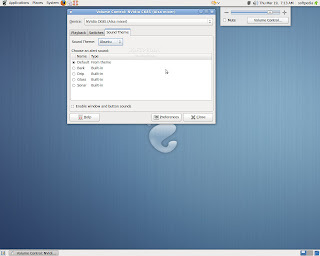 The upcoming Ubuntu 9.04 (Jaunty Jackalope), Mandriva 2009 Spring and Fedora 11 Linux distributions will include a fully functional version of the GNOME 2.26 desktop environment, but until then we will introduce you guys to the highlights of this release. 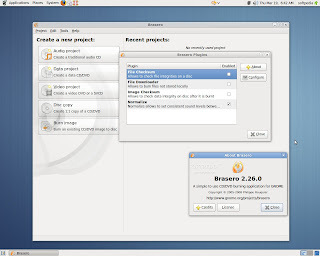 Brasero, the popular and powerful CD/DVD burning application replaced the basic tool that existed prior to this release. Some of Brasero's great features are audio CD burning with audio track preview, track splitting, automatic volume normalization and multisession support. Moreover, multiple burning backends are supported, disc integrity can be checked and CD/DVD covers are a breeze to create. 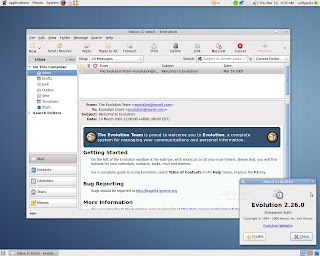 Very much anticipated, the Evolution e-mail and groupware suite received two important features that are sure to ease the migration from a Windows platform to GNOME: PST (Microsoft Outlook Personal Folders) files can now be directly imported in Evolution, including e-mails, contacts, appointments, tasks or journal entries. The second added feature is support for the MAPI protocol that is used by Microsoft Outlook to communicate with Microsoft Exchange. Thunderbird has now a really strong competitor, that's for sure. 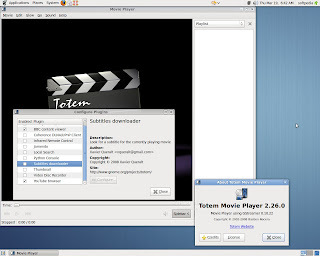 GNOME's Media Player has integrated a new Coherence DLNA/UPnP client that enables browsing and playing content shared through UPnP or DLNA protocols. Another awesome addition is a subtitle download plugin that will automatically search subtitles for your movies. GNOME's instant messaging client, Empathy, has been updated to support file transfer, chatroom invites, sound themes and notifications. VoIP (Voice over IP) capability is provided through the Theora and Speex codecs and is now available over Jingle to any client that supports this protocol. Though I still prefer Pidgin, Empathy, already featuring voice and video chat, is evolving more rapidly and will soon catch up with the purple bird. Epiphany, GNOME's default Web Browser, is now much more efficient thanks to an improved location bar, a feature that has almost the same functionality as the "Awesome Bar" introduced in Mozilla Firefox 3.0. I was quite impressed with its speed and the available plugins (Auto Reload Tab and Greasemonkey are very useful); if the team keeps up the good work, it will prove to be a viable alternative to other web browsers. PulseAudio is now the default audio input/output framework. One of its most powerful features is the ability to control applications' volume independently. This tool is sure to be very useful in many scenarios. Furthermore, rerouting sound devices is now made in real time, thanks to plug-and-play support. And don't worry, if you still use GStreamer, its mixer is still available and received a new sound theme tab. The "Screen Resolution" control panel was renamed "Display" and tweaked to ease multi-monitor setups. Also, a "last-known-good configuration" will be remembered and, in case of a crash, it will automatically be restored. Moreover, if it detects that the graphics driver currently installed doesn't properly support this new tool, it will offer to open the driver's own control panel (e.g. NVIDIA X Server Settings). And if all these are not enough, there's more! File sharing was made easier than ever with a plugin integrated into the file manager that facilitates transferring files through either WebDAV, HTTP or Bluetooth. If you have a fingerprint reading device and your system allows such authentication, GNOME 2.26 integrated the fprintd service that allows you to register your fingerprint in the "About Me" preferences page. The Deskbar applet was also updated to support OpenSearch plugins. Smaller changes were made to the panels that can't be moved anymore without holding the Alt key, preventing accidental repositions. Also, an in/out sliding effect was added to them at login and logout. Another discreet and elegant effect reveals itself when you change wallpapers, as they will now crossfade between the old and the new one. Though 2.26 is far from being a complete overhaul, the new features will please all GNOME users and, who knows, maybe convert some fans of other desktop environments too. I'm especially excited about the new per-application volume control feature in PulseAudio and the fact that Brasero, my all-time favorite burning application, is now the default one in GNOME 2.26. We'll meet again with a new version of the GNOME desktop environment six months from now, when 2.28 is expected to be released. Download the sources for GNOME 2.26 right now from here.